Remember Raven and her pack (Shakti and Hotei)?! If not…a refresher – Raven owns Lucky Paws Bakery and Barktique in downtown Lawrence (around the corner from Liberty Hall). Her store is adorable, our dogs (like most in Lawrence) are obsessed with her treats and she is equal parts kind and hardworking. I am lucky to also count her as a friend! I was so happy she asked me to do holiday photos! I love dogs – its no secret. 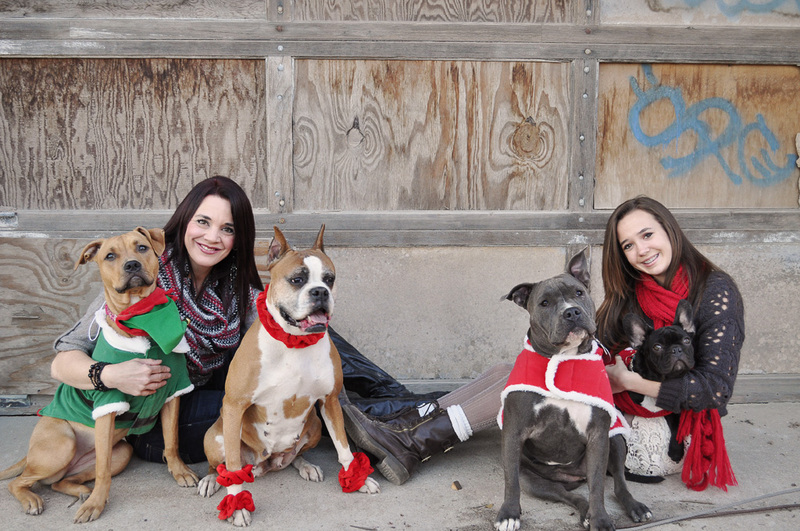 I will admit, though- four dogs in one family photo was a welcome challenge! Yelling “cookie” was key to the success of our shoot. A special shout out to the construction workers who were around us during our shoot in downtown Lawrence who undoubtedly thought I was certifiable. 🙂 The first photo showcases the challenges we had. I SWEAR the dogs had it all worked out so that everything would be perfect, except for ONE dog. It was a conspiracy. Helper Hotei (HA! I’m handsome and everyone else got in trouble during the shoot EXCEPT me. I am awesome)! How absolutely beautiful are Raven and her daughter Maddie?! Seriously. Absolutely gorgeous. And…on that note…how sweet are Raven and Aaron?! 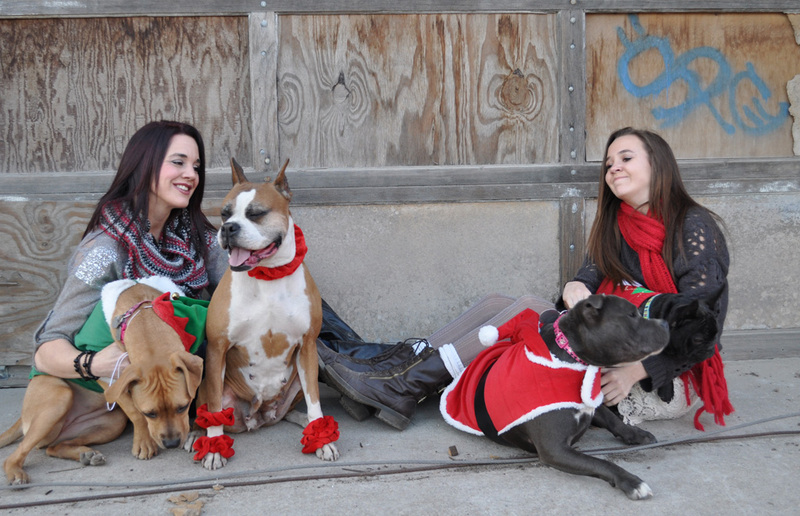 A wonderful way to laugh with friends, capture/love on some adorable pups and welcome in the Holiday season! 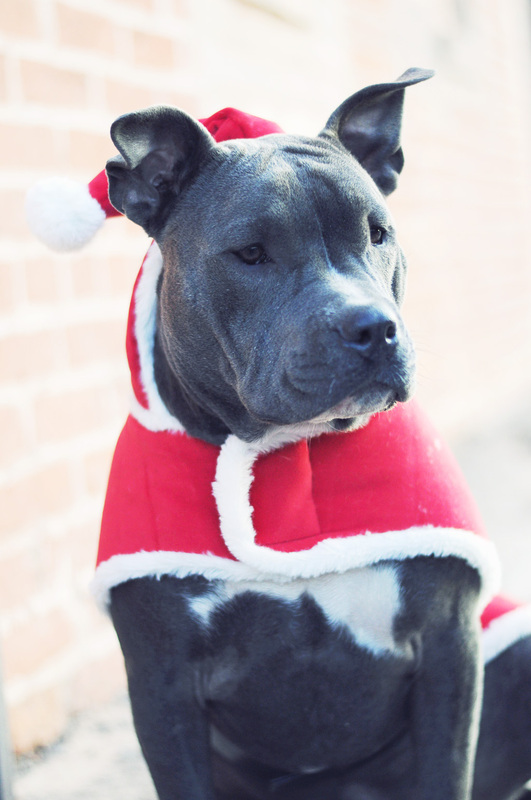 HAPPY HOLIDAYS from the Lucky Paws Pack!